Will Trump’s Latest Proposals Reduce Student Loan Debt? Are These Two Funds the Only Ones You Need for Life? On Your Money, Your Wealth®, Joe Anderson and “Big Al” Clopine tell it like it is, answering the questions that really matter to you. We don’t push hot stocks, feed panic about the markets, or sell you on the latest investment scheme. Instead, we offer listeners to-the-point tips that help them stay informed about key topics and take charge of their financial future. Want to learn the secrets of one of the world’s most successful investors? 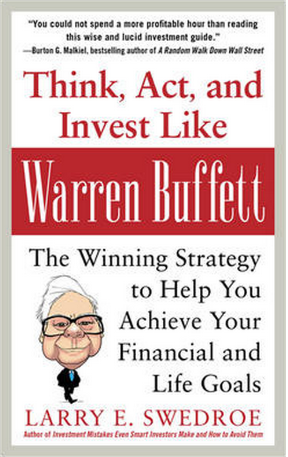 You can when you claim your free copy of Playing the Winner’s Game: Think, Act, and Invest Like Warren Buffett by Larry E. Swedroe. Take advantage of this exclusive offer and receive a copy of this insightful book, which features a foreword from Your Money, Your Wealth® hosts Joe Anderson and Alan Clopine. Act now! Only a limited number of copies are available. Your hosts break it down, making it easier to understand. Do You Have a Question for Joe & Al? Ask Them on Air.